Harmonic Collective is a chapter of the Barbershop Harmony Society located in Liverpool, NY. Hailing from the Seneca Land District, Harmonic Collective offers a place for men of all ages to sing and create relationships that will last a lifetime. Our membership includes students, teachers, electricians, principals, technology specialists, graphic designers, fathers, sons, and above all - singers. While the primary musical focus of this group is barbershop harmony, other forms of a cappella singing are also embraced and supported. Beginning life as a Youth Competition Chorus (under 26) to participate in the Barbershop Harmony Society’s International Youth Chorus Festival, they chartered as a full chapter in April 2017. The chorus is now open to men of all ages with the purpose of promoting the very best of the barbershop art form, both musically and civically. In performance, Harmonic Collective strives to create a dynamic and inspiring environment. Whether you're looking for a place to sing, or a great performance for your next event, the men of Harmonic Collective are waiting to hear from you! Meet Sky Harris, the mastermind of Syracuse, NY's youth barbershop scene. Sky directs Harmonic Collective, and is also the founder Lakeside A cappella Camp, a weekend of youth barbershop workshops and summer fun, held right on the shores of Cazenovia Lake, as well as SAYacaFEST (Syracuse Area Youth A cappella Festival), a one-day, annual barbershop intensive festival held in the heart of Upstate New York. Sky is the Youth Coordinator for SAI Region 15, co-directs Scarlet Young Women In Harmony Chorus, is an assistant director of the women's Spirit of Syracuse chorus, a music educator, and a lover of all music. Spawning from a mere conversation Sky Harris had with Joe Connelly (4-time International SPEBSQSA quartet champion lead) about starting a barbershop chorus for young men in Central New York, HC first materialized in 2015. Harmonic Collective started with a small group of fifteen guys and a music educator. The group first rehearsed on a Sunday in September of 2015, and in a year alone has evolved into a brotherhood just short of fourty men. HC, starting off as being mainly comprised of high school students and now proudly having members spanning all generations, has put a new face on the barbershop sterotype. "Barbershop Brat" is a term widely used in the Barbershop community to describe a son or daughter who is brought into the barbershop world from a parent who has participated in barbershop. A unique aspect of Harmonic Collective is that it seems as if the boys of HC have found a way to reverse this process, and bring their fathers into the art form. From participating in a Collective rehearsal, or seeing us in concert, our passion for spreading the love of a cappella and changing the room is first and foremost. Harmonic Collective welcomes you to grow with us, and join us as we evolve and spread our love of barbershop. Harmonic Collective's First Rehearsal - Fall 2015. HC retreat rehearsal with coach "Awesome" Joe Connelly in preparation for BHS 2016 Youth Midwinter Chorus festival in Reno. Harmonic Collective's "Friends and Family Show" preparing for our first Seneca Land District Contest - Spring 2017. Harmonic Collective prides itself on existing as an body which welcomes guests and introduces new singers to the art form regardless of prior musical background. This past district convention three HC members were honored with "Songbird" awards in Geneva, NY for having brought a significant amount of new singers into the Society. Visit the Join Us page for more information about being a part of Harmonic Collective! 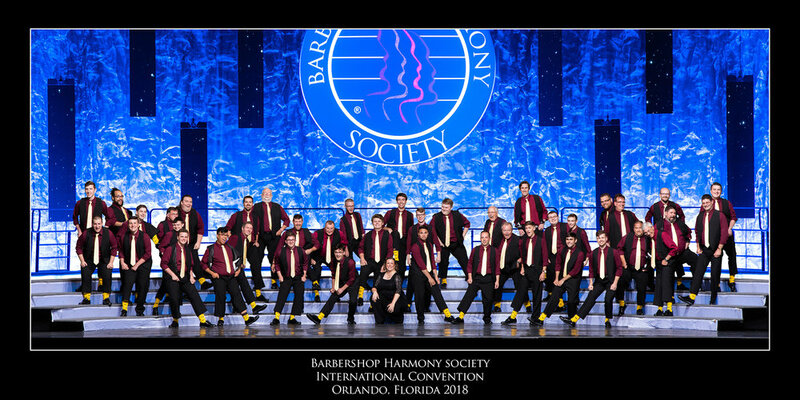 Harmonic Collective's first time competing at the Barbershop Harmony Society International Convention!